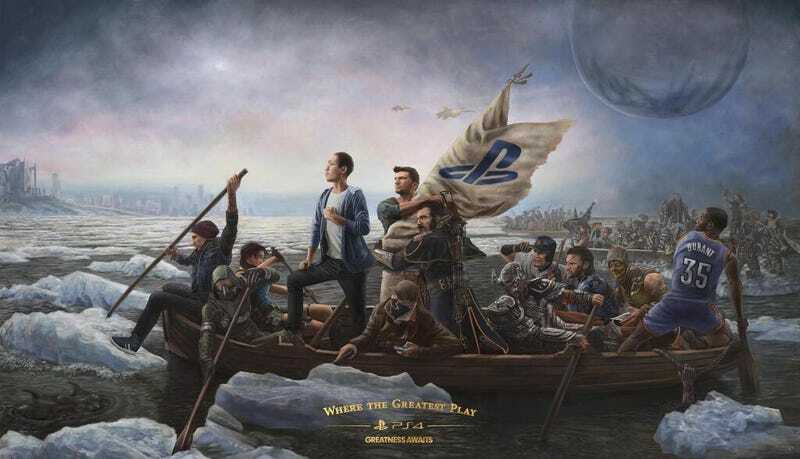 Sony has completed their big E3 mural. Sony has completed their big E3 mural. The the man standing in George Washington's place is none other than Mr. Joey Chiu, better known as the first guy to buy a PlayStation 4. Congratulations, Mr. Chiu. Say hi to the Minecraft guy for us.